First Option Software granted Royal Warrant | First Option Software Ltd.
First Option Software Ltd have been granted a Royal Warrant as a Supplier of Software Services to Her Majesty The Queen. There are around 800 Royal Warrant Holders representing a huge cross-section of trade and industry. They range from traditional craftspeople to global and multinational firms operating at the cutting edge of technology. 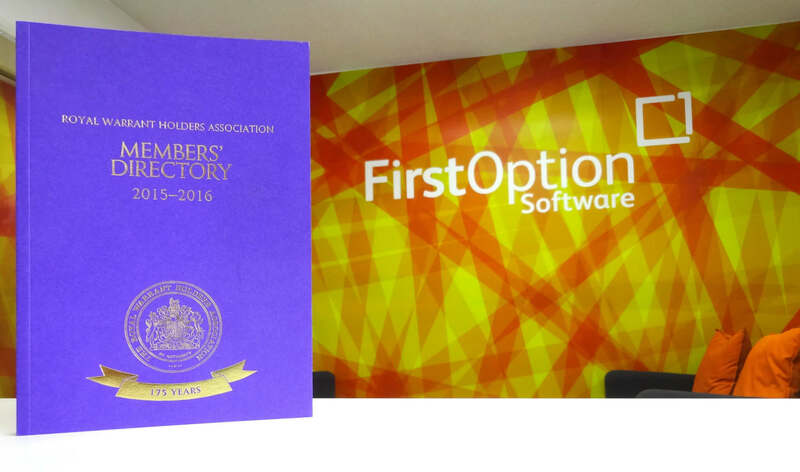 First Option Software Ltd is proud to be a member of The Royal Warrant Holders Association, who represents individuals and firms with Royal Warrants of Appointment. Everyone at First Option Software is delighted to have been honoured in this way for our work with the Royal Household. I am extremely proud of the effort and commitment shown by the whole team over the last six years. We see the Royal Warrant as a landmark event in our company history and recognition of our commitment to delivering successful projects.